Ada has been commissioned by luxury brands to set diamonds in the interiors of supercars, design high jewelry and brilliant accessories, and support exclusive events for the most discerning customers in the world. Hosting a jewelry boutique at the Rolls-Royce Motor Cars villa during the Pebble Beach Concours d'Elegance. Ada Diamonds proudly offers interior and exterior diamond bespoking for automotive vehicles, yachts, business jets, and luxury home decor. For example, Ada's diamonds spell the name of a beautiful Agera RS, made by Koenigsegg Automotive, which was awarded Most Sensational Supercar at Salon Privé 2016. Christian von Koenigsegg, Founder and CEO of Koenigsegg Automotive, is well known for pushing the boundaries of technology, design, and sustainability. We are honored that he has chosen to include our diamonds in his breathtaking vehicles. Ada Diamonds offers styling of women and men in extraordinary pieces of fine diamond jewelry for photo shoots, special events, media opportunities, and trade shows. 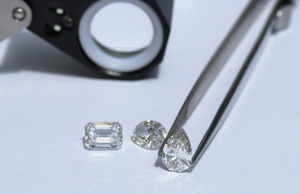 Ada can fabricate custom pieces for your event, including thematically aligned pieces of jewelry that feature colorless and fancy colored diamonds of up to 10 carats. For example, Ada provided diamond jewelry of appropriate stature for a photoshoot of the Rolls-Royce 103EX Autonomous Concept Car for Nobleman Magazine. Ada Diamonds continues to work with iconic brands to forge innovative partnerships that push the boundaries of science and art. Follow @AdaDiamonds on Instagram and Facebook for exclusive details of our current partnerships, media from collaborative events, and future launches of additional partnerships. Could you partner with Ada to create breathtaking art with the world's best diamonds? Could we brighten your next project, event, or photo shoot? If so, we'd love to hear from you.